If you love to learn about other people’s routines to see what works for them, then keep on reading. If you don’t care for much about routines, I’m still hoping you’ll keep on reading and that you’ll see a bit of importance of having one. Because a well-developed morning routine is essential to how you structure your day. It can affect what you do or how productive you may be throughout the day. Think of it this way: if you have a plan of action in place, you most likely would work toward accomplishing it. But if you start off wasting time, you’ll fall behind and find yourself trying to play catch-up. Has that ever happened to you? I’m aware that each day won’t be the same and things may come up. Yet, having an effective routine to fall back on will be such a huge help. If you would rather wing it or fly by the seat of your pants, then that is OK as long as it works for your family. Each family is different and each family has things that work for them and things that don’t. Personally, I love having an effective morning routine. It helps set the paste for the morning, cuts down on the chaos, and cuts down on the wasted time figuring out where to start. It also helps me to be more productive at home in the long run. I’m a stay-at-home mom with one daughter in Kindergarten and two other littles all six and under. Our morning routine is based around getting the Kindergartner ready for school (though she’s finishing up now). Without a routine, we’d be scrambling daily to get going and we most likely would end up being late more times than we’d like. 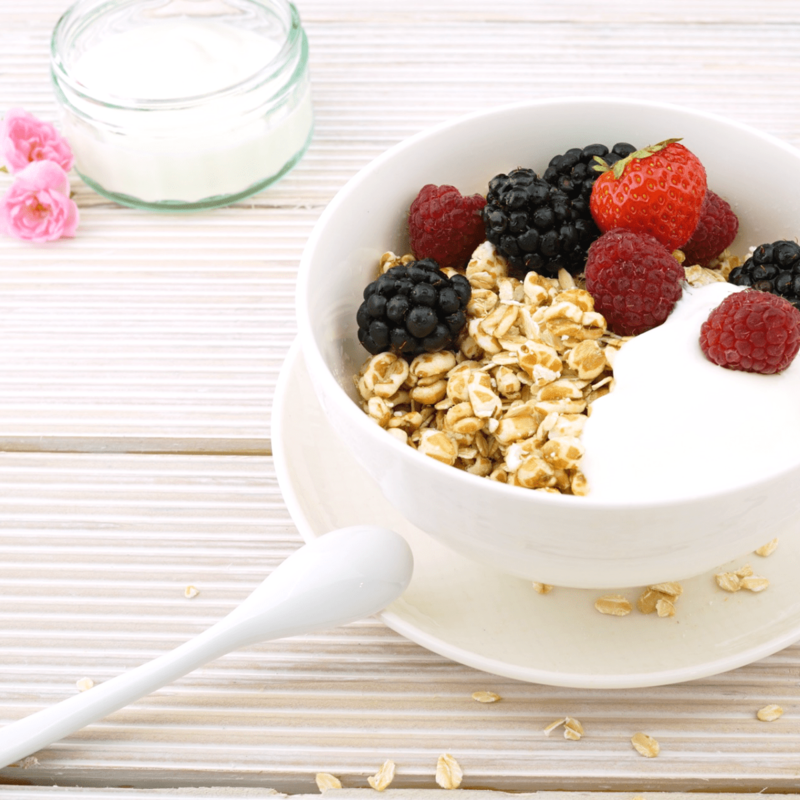 Whether you stay at home, work at home, or work outside the home, developing a routine catered to suit you and your family is a great way to start your mornings. In fact, some of you who work may already have an unwritten/unofficial routine (though you may not know it). You may begin your morning with a simple routine such as this: setting your alarm to the same wake-up time each morning, exercising or walking the dog (we don’t have a dog), then grabbing a shower, getting dressed, maybe having breakfast or brewing coffee (if time permits), then heading out the door to work or you may grab breakfast on your way to work. That is definitely a routine. If you stay at home and don’t have any place to go, don’t work at home, and don’t have to take the kids to school or you don’t teach them yourself, it may require a bit more discipline to create a regular morning routine. That is not to say, you cannot have a workable routine for you and your family, though. It will just require a bit more practice and consistency. Before the installation of Kindergarten, we sort of had a morning routine going. We woke up whenever (seriously, so much to begin with), although many times I was up way before the kids, had some quiet time, and did some blogging while everyone else was quiet. When the kids woke up, we started our day with cuddling for reading books and prayer, then quiet play while I made breakfast, ate and clean up, changed, then activities (at home or outdoors). Our outdoor activities took place mainly on Tuesdays and Fridays. Tuesdays we’d either go the store or library or a mommy class. And and Fridays, we did a fun activity such as going to a playdate with friends, visiting a local farm or amusement center, splash pad or drove to a park further away from the house. We had one directly across from our old home that we frequented but we choose others to go to on Fridays. More fun! Our somewhat of a routine was a huge help to the kids and to me to cut down on the chaos and brought some order into our morning. But when our first daughter started Kindergarten in the Fall, that routine changed completely. We had also moved to a new location (about 10 minutes away) so that in itself was another change for us. That is the thing about routines. They do change based upon the events of your family. Here is what our current routine looks like. To be honest, I did not sit down and create this routine; it kind of fell into place once school started. We basically do the same thing each morning as we need to be up early and get going. Try to get up early (at least 45 minutes) before the kids. Our day starts early, usually around 5:45 am – 6:00 am. That is pretty early for people who stay at home, I think. And because it gets brighter earlier now, sometimes I’m up as early as 5:00 am. (My husband gets up around 5:45 – 6:00-ish to get ready for work. Once in a while, a bit earlier if he has an early morning meeting). Quiet time (read, prayer, sometimes check emails or sometimes peek at Instagram (probably not good), work on editing a blog’s post if possible). Wake up Kindergarten daughter for school (if she is not up by 6:45 am). Our littlest would also wake up and I’d nurse him. Now we’re kind of outgrowing that phase. Grab a shower and get dressed (while she gets cozy on my bed or on the couch). Drink lemon water, prepare breakfast her breakfast & finish packing her lunch (I like to prep as much as I can for lunch the night before). If I did not have time to grab a shower earlier, I’ll get one here or at least get myself looking presentable before making breakfast and most importantly, going outside. I have to change out of that PJs and look outside presentable. Drop her off to school at 7:30 am (AKA, the bus out the door). Come back home to start the day with the other two kids. We either hang out on the couch for a little while if they are both awake, read a few books, watch a kids’s show on TV, or they may play quietly and I’ll start preparing breakfast for us right away. Eat breakfast & clean dishes, brew some coffee. Start activities for the day. It may include some of these – chore(s), pre-school workbook, play dough, painting, craft, other activity, outdoor activity, etc). (Sometimes, I’ll have a cup of coffee and jot down a to-do list, if the kids are doing something quietly before I do something with them). Once school goes out for the summer, we are planning to throw that super early morning routine out the door! We are planning to take much of a laid back approach and hopefully, the kids don’t try to get up before 7:45:) I think our one daughter who goes to school is tired of the early morning getting up too. She has grown to dislike it and would rather stay cozy in bed. Who could blame her? Not I (ha ha). In any event, I’m not quite sure how we will bring some structure into our mornings yet so that we don’t find ourselves wandering with absolutely no direction. But for now, we are just planning to be laid back. 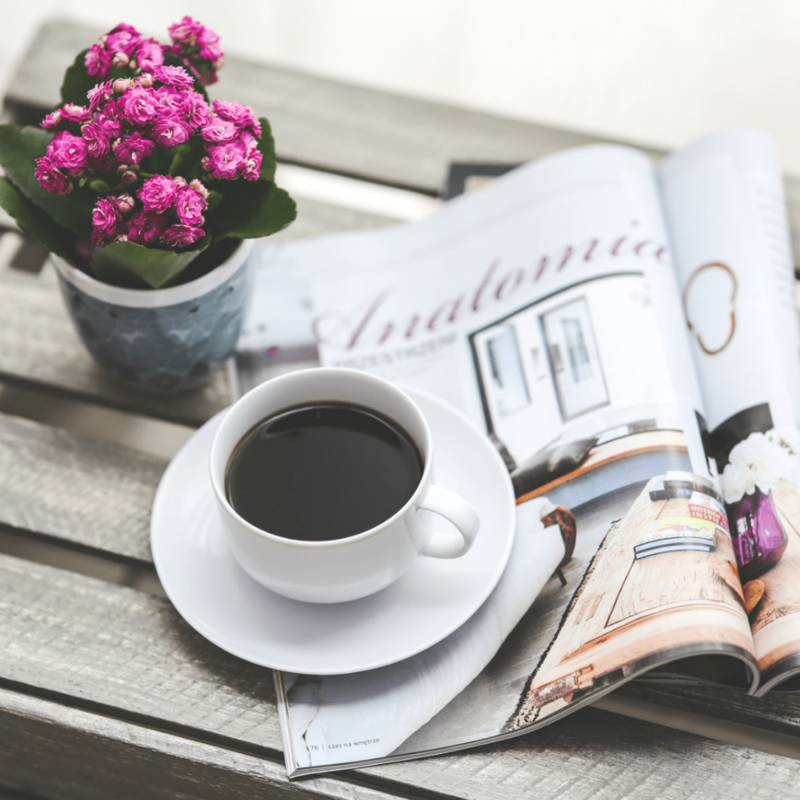 Hopefully, that gave you a peek into what we do and hopefully, it helped you to see how having an effective morning routine could help you and your family. It will be such a help to cut down on wasted, chaotic, un-productive time and help your day to run smoother. Especially if you are a stay-at-home or work-at-home mom, you know how important it is to have something for you and the kids to keep your day from being chaotic (hopefully). Keep in mind that you should developed your routine based upon your family and try not to make someone else’s yours. That will be frustrating and you’ll get no where. If you know another homemaker or another person who seems to have it altogether, don’t stress over it. They may have extra help or their kids may be a bit older than yours and of course, have different daily activities. Trying to pattern your morning routine after theirs would only make you feel like much of a failure. Create a routine for you and your family that you feel would be workable for all based upon where you are and not where someone else is (if that makes sense). 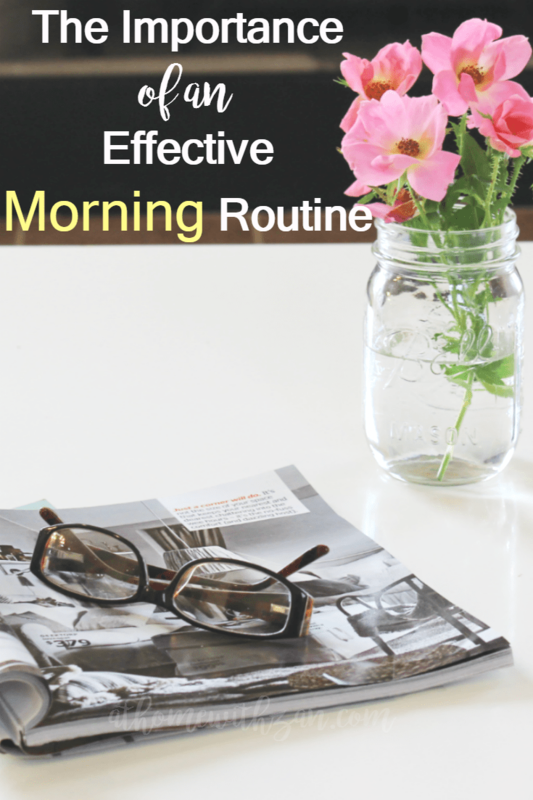 How important is an effective morning routine to you? Do you go on the fly or are you more structured? I’d love to hear some of your thoughts on what your morning routine looks like (or not)? Thank you Tammy. It cuts down on some of he craziness and helps with some (at least) order. I swear by routine! In the morning, I work like a robot! My brain doesn’t start functioning until like 10am. I hear you.. ha ha!! It sure is helpful to have something. Morning routines are huge. Without them it makes life so hectic with kids! I think with kids it is necessary, too. It really makes things less hectic!